The number one rule to being a ninja? You have to be sneaky! You can't just tromp around the neighborhood wearing clunky shoes that alert your enemies to your presence. If your child is trying his best to be the next best shinobi in the land, then he'd better do his homework on how to be sneaky and wear a set of ninja tabi! What are tabi? Well, they're traditional ninja footwear that allowed them to sneak around without making tons of noise with their feet. 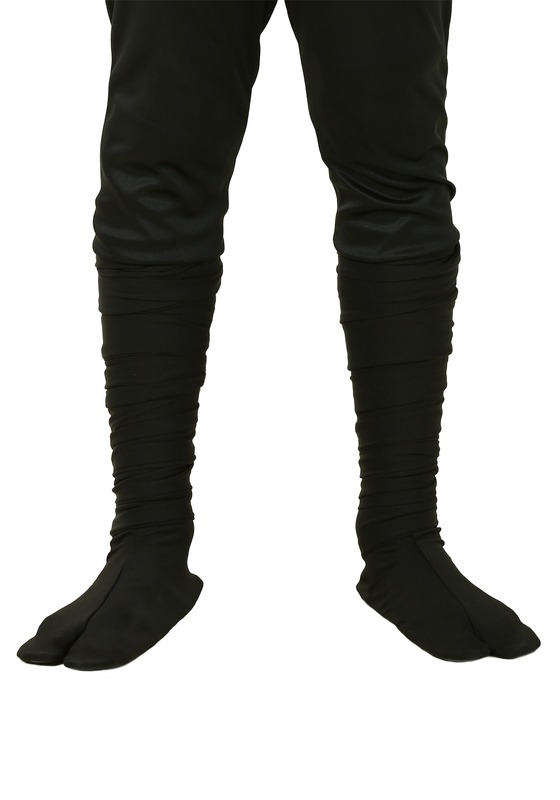 We've a cool set of boots that look like traditional ninja tabi, so now it's easy for your child to get the extra sneaky look! These Child Ninja Boots come with a split near the big toe. When you add them to your child's ninja costume, the rest of the neighborhood better watch out, since none of his opponents will be able to hear your child coming!